Hi friends! It's December so that can only mean Christmas nail art! Yup, that's right. 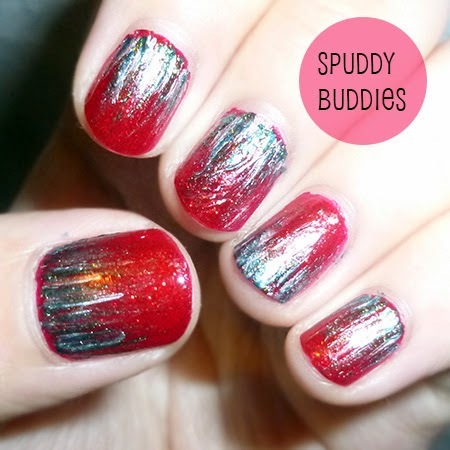 I'm kickstarting my Christmas nail art posts starting from today. 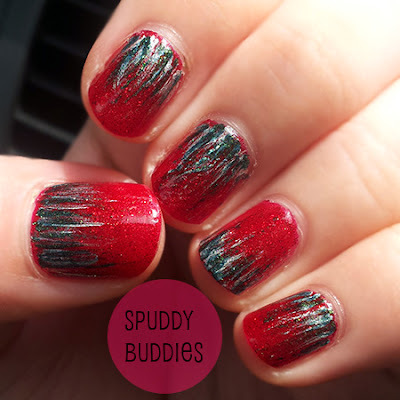 Today I bring you some super fun Christmas nail art. 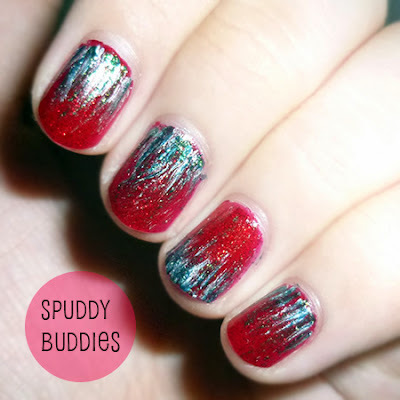 I first saw the phrase 'waterfall nail art' on The Nailasaurus's nail art blog and love it. It's such a simple design.. but to be honest, I was intimidated. I wanted so badly to try it but my fear of messing it up kept me from trying until only very recently. I picked up my thin striper brush the other day and plunged right in without giving myself time to think, what if my waterfall nails turn out to be an unrecognizable splotch of polish? Haha, yes, building my confidence, one nail design at a time. Well, yeah, some lines are slightly bent but I blame it on my brush that's getting stiff and out of shape. The colors I picked are definitely Christmas-y! I love it. The polishes I used are China Glaze - Ruby Pumps, a green glitter polish and Sally Hansen - Silver Sweep. Does this design remind you of a waterfall? Would you try this design for Christmas? What colors are you loving for Christmas this year? So pretty!!!! I love this!